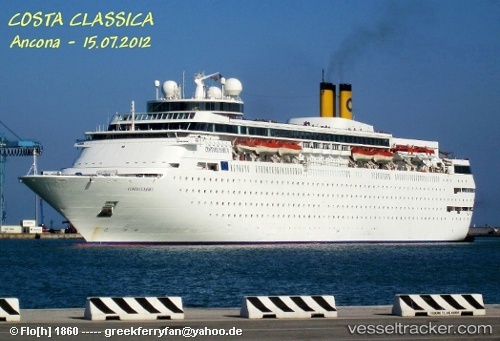 The "Grand Classica" was denied entry in Havana in the morning of Feb 15, 2019. It left the port of Palm Beach on its maiden voyage to Cuba. The plan was to get to Havana at 7 a.m. Friday. Some people would get off the ship, and some Cuban nationals would temporarily board. Viva Travels had chartered the Grand "Classica". They said despite prior approval from the Cuban government, they were denied entry for unknown reasons and insted headed to the Bahamas before returning to the Port of Palm Beach, completing their 4-day cruise. Christopher McGrory, 29, a passenger of the "Grand Classica", died after being medevaced from the cruise ship which sailed from Palm Beach to Freeport. The man was at a bachelor’s party in advance of his Dec. 1 wedding. He fell on board in the night hours when the ship was 13 miles east of the port.The U.S. Coast Guard received a call on Oct 18, 2018, around 8:15 p.m. The man was taken to St. Mary's Medical Center where hospital staff pronounced him dead. The ship then resumed its itinerary to Grand Bahama Island.